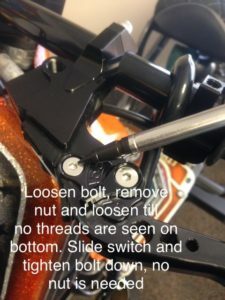 All you riders with CNC levers and No Left hand switch we now have the solution in our PATENT PENDING Ruckus CNC Left hand switch. Comes with everything you need to install a left switch on your CNC levers. Fits Adelin and most other CNC Clutch left hand levers. NO NEED TO REMOVE CABLE. 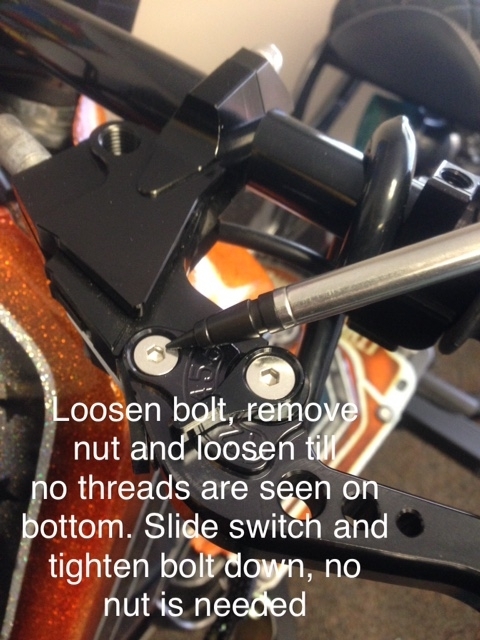 MAKE SURE LEVER IS PULLED BACK WHEN YOU INSTALL BRACKET SO YOU DON’T BRAKE TAB ON SWITCH.